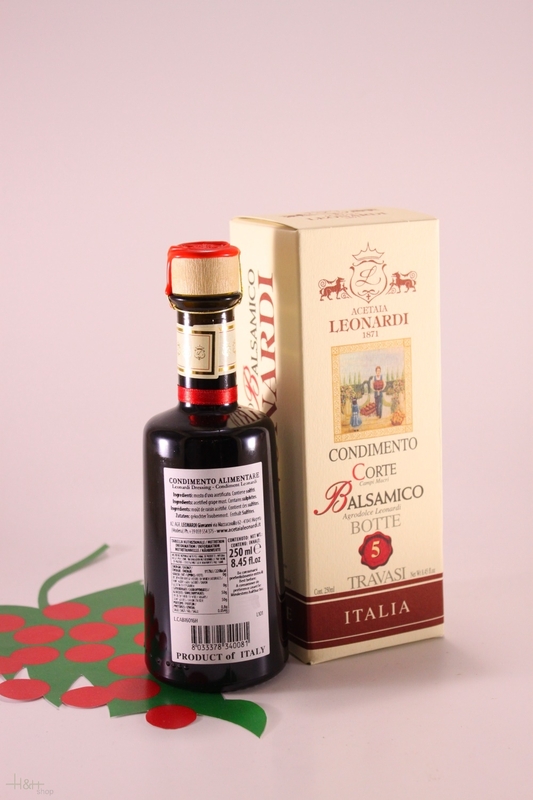 Ingredients: Balsamic Condiment with 100% cook- grape Lambrusco and Trebbiano without addition of wine vinegars. Description: matured for 5 years in different wood barrels. 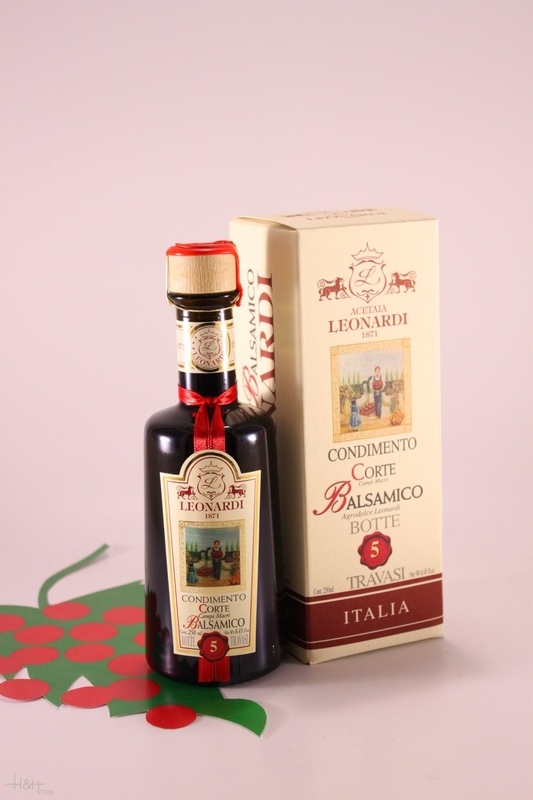 A lively, fruity and mildly sweet and sour dressing. Highly recommended for everyday use.